Do they not sell these anymore? I have a couple. Colgate-Palmolive stopped production of these late last year I think. Whatever is left in the retail chain is all that's left. There's a long thread about this on one of the UK forums. It's a good performer but I'm not keen on the scent. I have one stick left and all of my local shops are sold out. 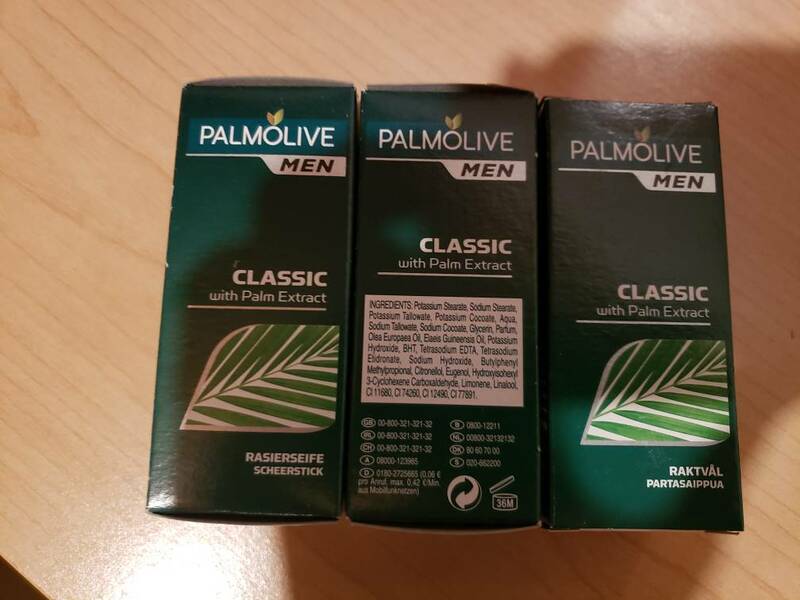 (04-09-2019, 08:01 AM)Mr_Smartepants Wrote: Colgate-Palmolive stopped production of these late last year I think. Whatever is left in the retail chain is all that's left. There's a long thread about this on one of the UK forums. I’m the opposite...keen on the scent...not keen on the performance. OP.....Have you tried looking on eBay and Amazon? I have 8 left ,and I am hoarding them. Palmolive sticks are back in stock at Connaught Shaving. About $2.00 delivered from UK. Got 6 for $ 11.59 shipped.